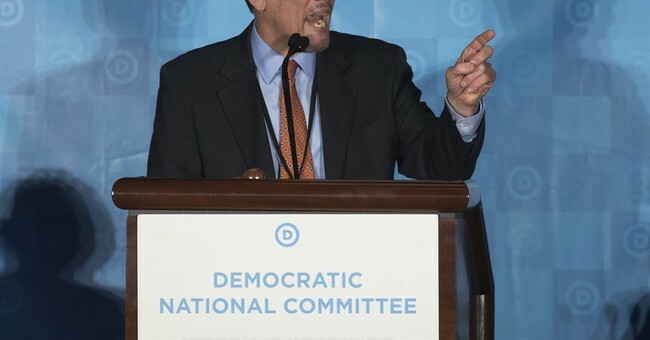 Irrational claims and blame games pretty much encompass the current Democratic Party, and the Democratic National Committee Chairman Tom Perez is no exception. In an op-ed for Time, Perez claimed that Republicans have waged a war on voters, slamming President Trump’s Voter Integrity Commission. The creation of the panel comes from suspicions of non-citizens voting in the 2016 election, which, although has not been proven to the extent that President Trump claims, has been proven to exist at some level. "You’re more likely to see someone fatally struck by lightning than witness a case of in-person voter fraud," he said. "Instead of working to convince voters to support their policies, they’re working systematically to suppress the fundamental democratic rights of the American people," Perez added. Republicans across the party have supported reform to voting laws and implementing tougher restrictions. Of course, Democrats call this “voter suppression”by the GOP, when the Right simply wants to stop non-citizens from voting. Voting is a privilege of being an American citizen. If the Left would not so harshly object to voter identification laws, claiming that they are somehow racist, President Trump’s commission likely would not have been necessary. "We can’t afford to let down our guard for a moment, because the difference between Democrats and Republicans on the issue of voting rights could not be clearer," Perez said of voter identification laws. Perez is correct, the difference between the Left and Right on this issue could not be clearer: Many Democrats do not raise issue with undocumented citizens voting in American elections. The majority of Republicans are not attempting to suppress voters. As with most issues, the GOP wants the law to be enforced and that freedoms guaranteed to Americans remain intact.